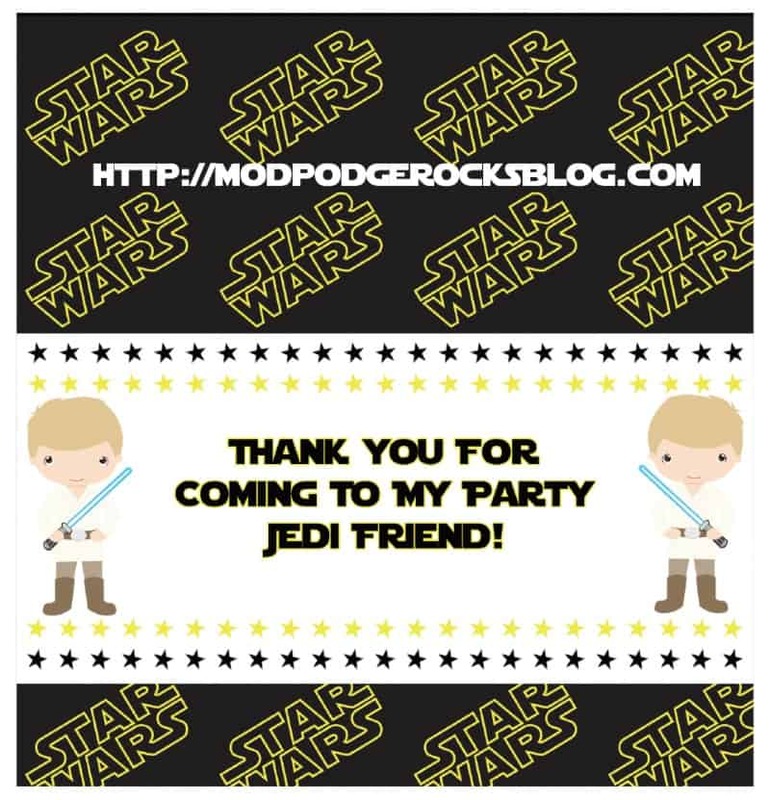 Home / Free Printables / Star Wars Birthday Party FREE Printable Pack! 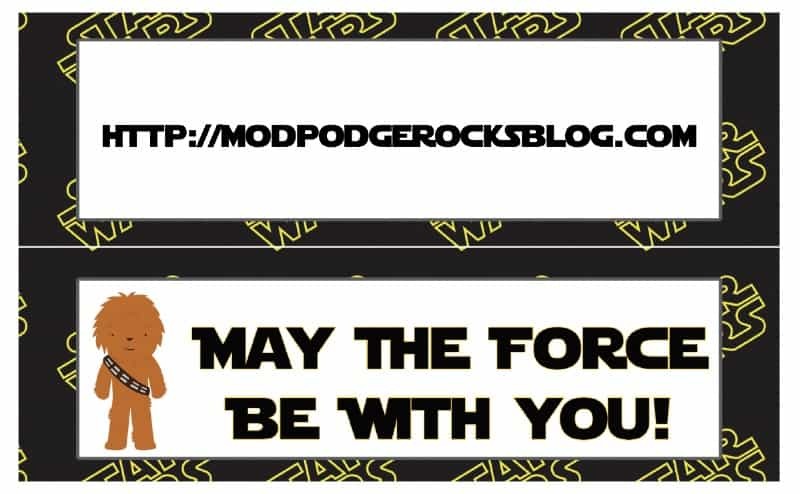 Star Wars Birthday Party FREE Printable Pack! 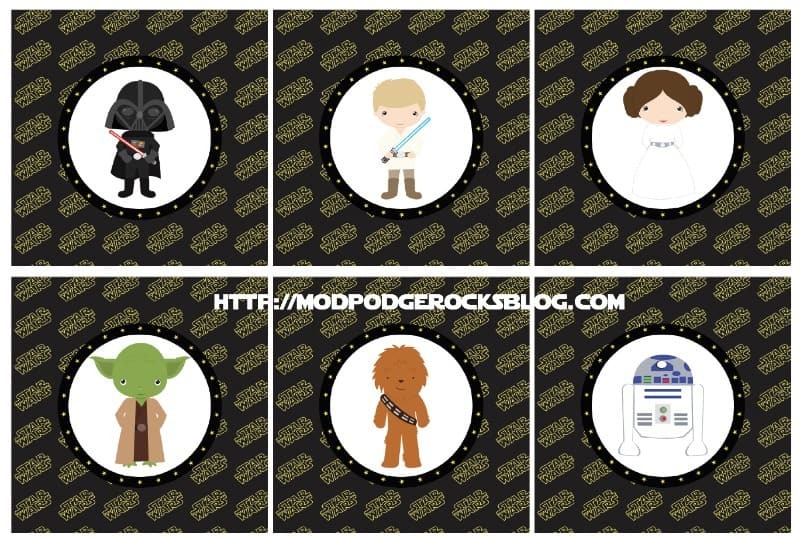 Get a FREE Star Wars birthday printable pack! This includes invitations, wrappers, banner, and more – twelve pages of fun. May the party be with you! Can you believe what a big Star Wars fan I am . 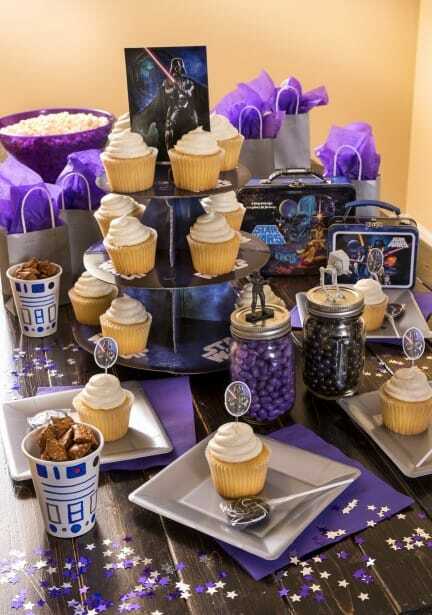 . . and yet I never had a Star Wars birthday party? Well – I'm turning 40 in January and I think that's all going to change. Maybe I'm too old for such shenanigans, but I don't care! Sometimes if you have a dream, you have to make it happen – even if that dream is a Star Wars birthday party. And you are turning 40. Along with that, I decided that everyone who wants a Star Wars themed celebration should have one. So I partnered with an awesome graphic designer friend of mine and she put together this amazing FREE birthday party pack featuring your favorite Star Wars characters! I'm quite impressed with she came up with. Instructions for all of the goodies are below. Punches make cutting out some of the designs easier, but you can still do it with scissors. Invitations: The invitations are 5 x 7. 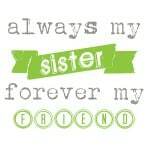 Just print on cardstock and cut out. You can get envelopes on Amazon HERE or at a local stationary store. Bag toppers: Print on cardstock and cut; fold on the white line and staple onto the top of bags. Candy bar wrappers (full-sized and mini): Print on card stock, cut out, wrap, and glue. 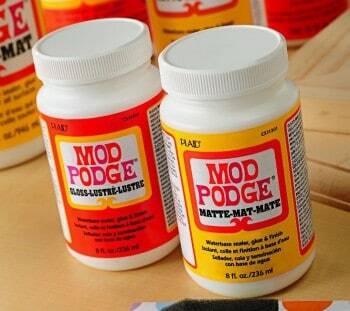 I highly suggest Glue Dots or double stick tape. You'll do the same for both sizes. The full-sized wrappers fit a 1.5 ounce Hershey bar amongst other type of candy bars. Cupcake toppers: These are 2.5″ and you will cut them with a 2.5″ punch. Use this tutorial for assembly – it's very easy. Hershey Kiss stickers: These can be printed on full sticker sheets and cut with 3/4″ punch. Or they can print on card stock and glue them on the bottom of the Hershey Kisses. 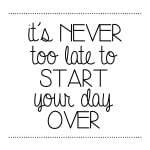 Birthday banner: Just print on cardstock and cut out. Hang anyway you like. Are you ready to have some galactic fun? 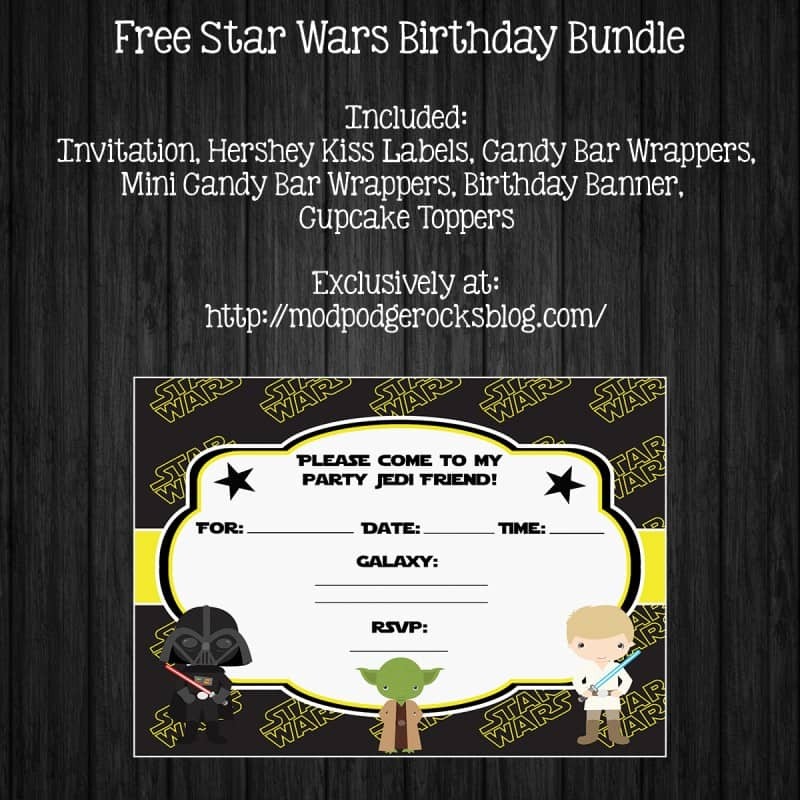 Grab your FREE Star Wars birthday party pack here!! Oh, and I'd love for you to visit my blog DIY Candy for a post I wrote about having a Star Wars birthday party (before I had this printable pack). Get my tips by clicking the image below! 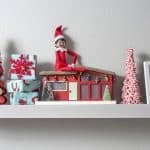 Note: any files in this blog post are for personal use only. Thank you!